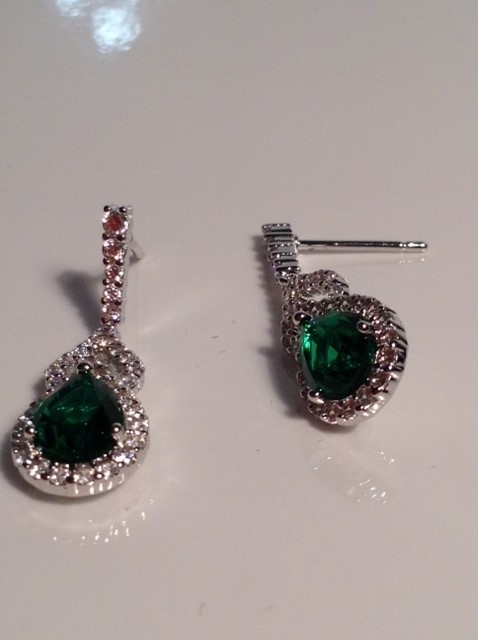 Elegant fashion earrings with high grade white and emerald cubic zirconia. Silver post. Creates a rich look.